Details and project renderings have been released regarding the upcoming closure and renovation of the historic Salt Lake Temple of The Church of Jesus Christ of Latter-day Saints. Latter-day Saints in Florida will soon get a visit from President Russell M. Nelson and his wife, Wendy. The prophet will speak at a devotional in Orlando on Sunday, June 9, 2019. 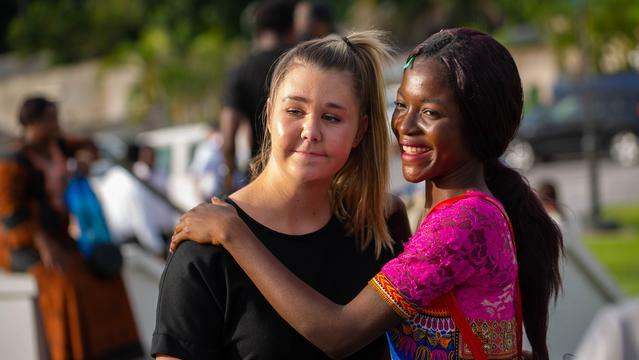 From South Africa NewsroomOn a beautiful Sunday, under the glorious African sky, hundreds of members of The Church of Jesus Christ of Latter-day Saints gathered to witness a historic moment, the dedication of the Kinshasa Democratic Republic of the Congo Temple. The Tabernacle Choir at Temple Square, the Orchestra at Temple Square, the Bells on Temple Square and the Gabriel Trumpet Ensemble will perform in a special Easter service on Temple Square in Salt Lake City.